Online entries will be closed 1 week prior to the event and a draw made and published. Times may vary to within 10 minutes of those times entered online. 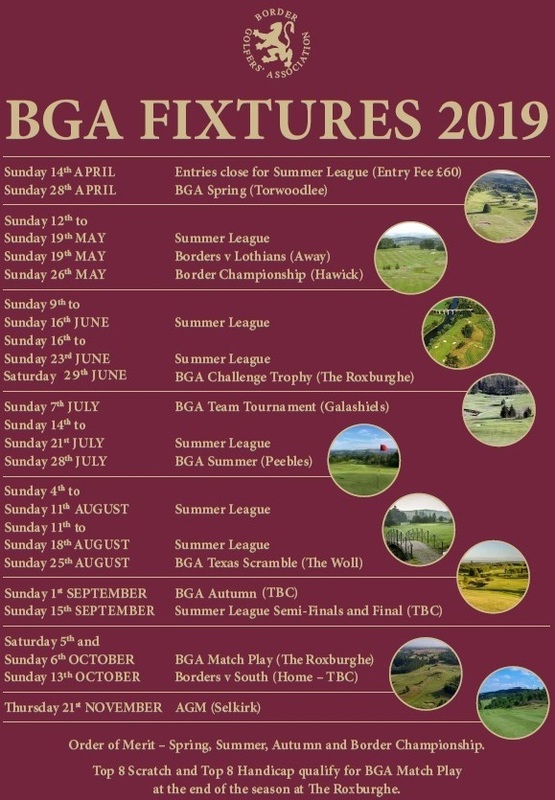 Late entries can then be made by contacting the BGA competition secretary by telephone in the week leading up to the competition. To Enter a Member club open competition please visit the individual club website for further information. Please see http://bordergolf.co.uk/clubs/ for contact details.